Looking for a gallery of wallpapers that hide the Galaxy S10 display punch hole? Here’s a go-to source! The Samsung Galaxy S10 is a pretty hot phone (*ahem* family of phones) and you are probably very well aware of the small inherent design flaw it has — the so-called “punch hole” on the front. See, where Apple did a notch to house the selfie camera and frontal sensors on the iPhone X, Samsung just did a cutout — a precise, elegant cutout. But it’s still a hole on the screen, which can look hideous to some people — it’s all about taste and what you expect to see on your phone. But leave it to the army of creative fans to find ways to incorporate the “punch hole” in the overall phone experience. As soon as power users started getting their hands on various Galaxy S10 models, they came up with custom wallpapers that make use of the ever-present camera(s) on the front and incorporate them in the picture in some way. Most commonly, they will have a popular animated character whose head is positioned in such a manner that the Galaxy S10+’s duo of selfie cameras would represent the eyes of the mascot. 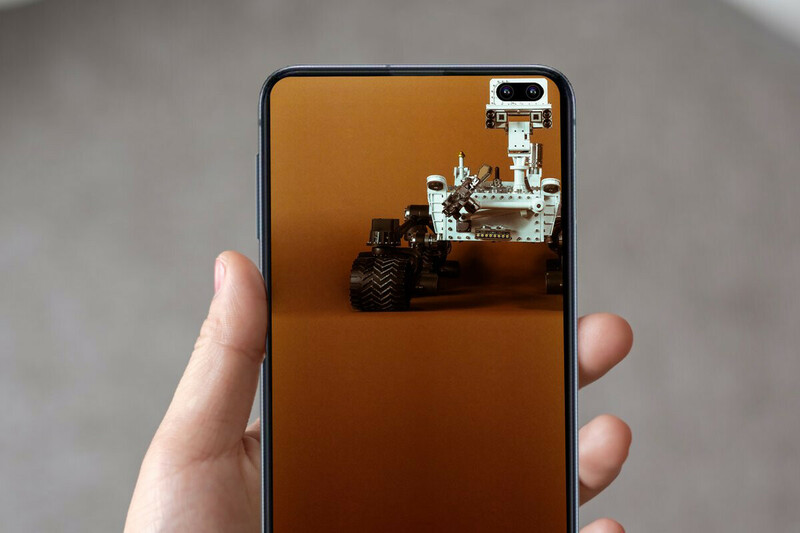 But there are also plenty of wallpapers that use a single round object to blend with the single camera of the Galaxy S10e or Galaxy S10 as well. Wondering where you can find a nice collection of such wallpapers? Look no further than Reddit. The community-based website now has a subreddit dedicated solely to Galaxy S10 wallpapers. Some of them are just pictures that would look great on an AMOLED screen, others are specifically made to wrap themselves around the punch hole. Check them out, if you have a Galaxy S10 coming in the mail!